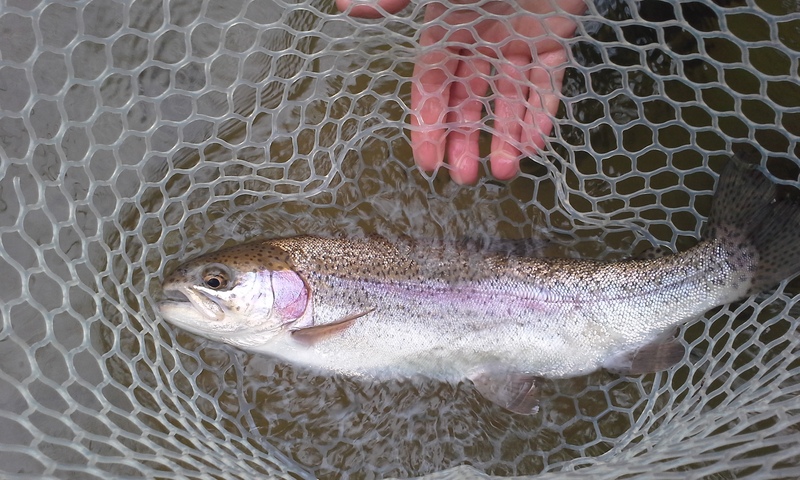 Many of our local streams received hatchery support during the first week of March. That can mean some sizeable fish to test the limits of any tenkara anglers fish-fighting skills. One of the coolest things about tenkara angling, as compared to western style fly fishing, is that it turns what used to be tug-of-war into much more of a chess match. If you hope to get of photo of a fish like this 17″ Rainbow, you will have to plan, think, move and develop a good feel for the fish and your equipment. That’s way more fun and rewarding than just winching them in!